The facial hair that inspired a cult following and launched its own Twitter handle is no more. 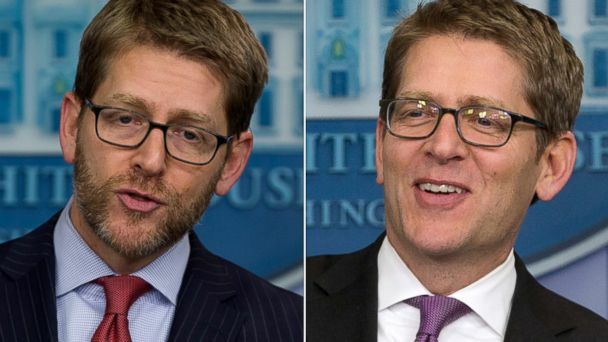 For most of January, White House Press Secretary Jay Carney sported a scruffy beard that he grew out over the holidays, but today, it's finally gone. Carney surprised reporters when he showed off his clean-shaven face at the White House press briefing. "There's cheers. There's applause in the back," Carney said. "Let's just say you're not the only ones." Carney said he shaved the beard at home Friday morning. One of the reasons he cited for removing his facial scruff - a bet waged by ABC News' Ann Compton. "I heard that Ann Compton would bet that I would shave before State of the Union and I didn't want her to lose money," Carney said. Carney first unveiled his post-vacation beard at a press briefing on Jan. 6, inspiring the Twitter handle @presssecbeard.